The Headphone List was founded by ljokerl and average_joe – the two pioneers of in-ear reviewing, and early contributors to the portable audiophile community. Long before I became familiar with Head-Fi.org, I’d been redirected there many times after searching for a review of some lower tier model. And more often than not, it was to ljokerl’s massive list; I became familiar with that thread long before I even understood what the Head-Fi community really was. 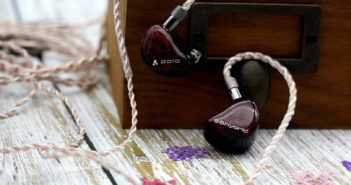 After I got hooked on earphones, as many of my fellow brethren an unsuspecting victim of the powerful allure of this hobby, I started dreaming away with average_joe’s top-tier earphone reviews, and custom in-ear monitor list. His list introduced us to many top-performing ciems, while laying the groundwork for analytical reviewing with an emphasis on technical performance. Once I started dabbling in high-end ciems and became an aspiring reviewer myself, jelt2359 made his debut here on THL with his fantastic shootout of 8 flagship ciems, combining a thoroughly enjoyable writing style with precise descriptions. I’ve been writing for THL myself now for a while, so I feel the time has come for my full initiation: a list of my own. For my list, I’ll be comparing 17 flagship in-ear monitors, including some of the most popular iems – present and past. A mix of some all time classics, recent rising stars, and some promising outsiders. The Headphone List: we might not do headphones, we sure as hell do lists. Ideally, you want to paint a picture of how an iem sounds by focusing on objective and quantifiable properties. Even if a reviewer can transcend their own bias, it’s important to keep your own preference as a reader in mind; the way I perceive a signature, won’t necessarily translate to the way a reader does. For this reason I’ve always stayed away from using scores in my regular reviews. For instance, for some listeners bass or a non-fatiguing treble might have the highest priority, while more abstract terms as resolution or transparency won’t say as much, or even be factored in a purchasing decision. But that doesn’t mean the opposite can’t be true for someone else. For example, my own preference relies more on a solid technical foundation over the specifics of the signature. It doesn’t matter so much whether an iem has a warm or bright signature, or more or less bass; what matters are factors like separation, transparency, tone, or the smoothness of its note release. But despite this wide variation between listeners, sound isn’t all subjective; only a preference for a certain signature is, just as appreciation for technical performance. A signature also consists of objective, quantifiable properties that can be scored. Clear examples are resolution, stage dimensions, separation, imaging, as well as tonal accuracy. But even within individual aspects of a signature (bass, midrange, and treble) there are objective properties that can be judged. For instance, when we look at the midrange alone, properties as forwardness, density, thickness, tone, definition, and smoothness, can all be more or less directly related to a monitor’s frequency response. Even so, it’s possible to arrive at a higher (or lower score) from multiple directions. For instance, a treble can be smooth and accurate in tone, but lack definition. Conversely, a highly articulate and detailed but brighter treble can receive a similar score. All I can do is go into detail as to why I assigned a certain score. However, as a baseline I will provide a description of the key characteristics I score within each individual aspect further on. So while I can’t deny there is some subjective bias in play, there are many objective properties that can separate an iem’s performance. And as will hopefully become clear, the final scores will consists for a great deal on these objective characteristics. In conclusion, despite personal differences in preferences, it’s nevertheless possible that one iem outperforms another, at least on individual aspects. 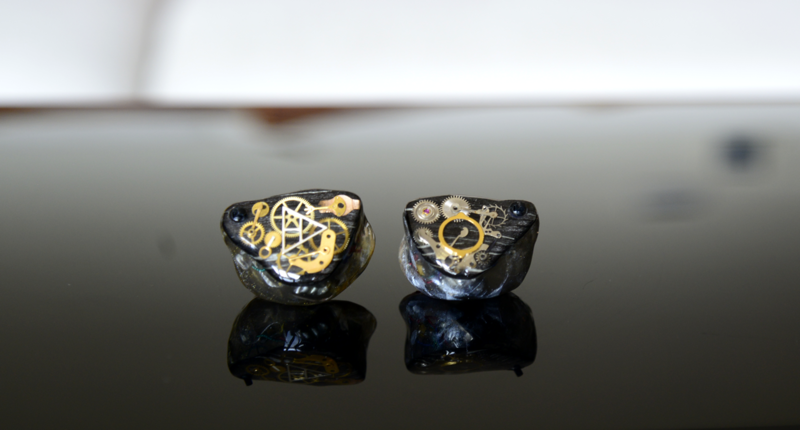 For example, say you have a $50 V-shaped iem, and a $1000 midcentric one. Even though Tim prefers a V-shaped signature, he should agree with John that the $1000 is objectively better; it might have a better stage, a fuller sound, and higher resolution. Unless Tim’s very stubborn of course (we all know that one guy), or there’s something very wrong with the expensive one. Though differences might be not as large within the flagship domain, the same principles apply. However, keep in mind the content of the review is always infinitely more important than a score or final rank, since each reader will highlight and neglect which aspects they prioritize according to their own experience and preference. Regardless of technical differences, one’s own preference will always have the final vote. Of all the individuals aspects within a signature, bass tends to be one of the most determining features for many people; a deciding factor. More often than not when people use the term ‘musical’ in discussion, it refers to the quantity of the bass, whether unknowingly or not; signatures classified as ‘musical’ tend to be the most bass enhanced. It’s not without reason, for bass plays a powerful role in a signature. It contributes to the sense of rhythm and liveliness of the music. It provides power to the presentation, an overall sense of dynamism. It also makes the sound full and engaging; an enhanced mid-bass will often result in thicker notes. In addition, the bass plays an important role in determining the structure of the stage; both its airiness and dimensions. Too much of it affects the cleanliness of the stage, and can affect the separation and transparency. And of course, it provides a warmer tone. Because bass has both positive and negative qualities, how much quantity one prefers is highly subjective. Some people simply want as much as possible, although most listeners and manufacturers seek a balance. Bass is valued, but shouldn’t dominate the signature or affect its performance. Regardless of preference for quantity, there are key factors that affect the quality of the bass. Its low-end extension provides the bodily feel a bass can give, the aspects that determines how a bass is felt in the background, rather than heard. The tone of the bass can sound natural and accurate, reflecting how notes of bass players or kick drums should sound. And of course the resolution of the bass determines the definition of the bass notes, which can either be fuzzy or well-defined. The speed and decay in turn not only affects the precision of notes, but their effect on the stage. And of course I too value a solid impact as much as the next person, which is factored in the score. But more as an equal to its ‘audiophile’ properties, rather than the sole determining factor. The midrange is the foundation of the music, as most instruments are positioned in this range. In this shootout, the lower and center midrange combined are scored separately from the upper midrange. Separating these scores reduces the variance between all the different and possibly conflicting ways a midrange can sound ‘good’, and provides a more consistent way of scoring each of the two components. There are several key constructs to consider when analyzing midrange notes. The most important being their tone, density, forwardness, size, smoothness, speed, and definition (although definition is scored under resolution and transparency). All these aspects can directly be related to specific peaks or dips in the frequency response; the reason I will strongly advocate this specific score is highly objective. The midrange score (in this shootout) can largely be tied to the vocal presentation, so I’ll take that as an example to elaborate on these concepts as a further understanding when reading the reviews. The vocal presentation also gets its own paragraph in every review, alongside the midrange and upper midrange, so I’ve structured this similarly. The density describes the solidity of the vocals (or notes), and is irrespective of their actual size. If a vocal is very dense, it creates a 3D, opaque image; like you can reach out and touch its contours. It will also result in greater focus, its fixation in the image. The opposite is a thin and diffused vocal, the feeling you can poke right through it because it lacks substance – a so called ‘phone call voice’. Forwardness can have different meanings (such as the degree of emphasis), but in this case it refers to its position on the stage; being either laidback, neutral, or forward. The size or thickness of notes is related to their actual size, the space they take on the stage. The vocal presentation depends on a wide range of frequencies, spanning roughly from the upper bass to the lower treble. Each frequency determines individual aspects of the vocal range. While the density and forwardness of vocals are accounted for in the midrange score, their size and articulation depends on the upper midrange and lower treble. For example, when you’re home alone and singing in the shower, you might be tempted to give it your all – no holding back. In this case, you’re singing at the top of your lungs, relying primarily on your chest and throat to create that volume. This is what I refer to as ‘depth’ or ‘power’. When you’re singing at normal volume, the sound tends to be produced from the back of your mouth. A sensual female singer in turn might emphasize the top-end of the vocal range, the pronunciation in the mouth; the same when you’re silently singing along for instance. So this roughly encompasses the full vocal range, and different tunings can emphasize these different regions. Ideally, we’re looking for a dense, slightly forward, nicely sized, and balanced vocal presentation throughout the complete range. And of course, the naturalness and tone is crucial in the scoring. The upper midrange is another key area for determining several aspects throughout the presentation. For instance, there’s a tradeoff between its role in the precise articulation of notes and smoothness – the upper midrange and lower treble are sensitive areas. If certain frequencies are too prominent in the tuning, they can put a bit of stress on the articulation of notes or vocals. It’s also a crucial area for determining the general tone, and the timbre of instruments. The scoring of the upper midrange primarily reflects the tone, which should be slightly warm to sound accurate; but also the smoothness and instrument size. However, factors as clarity, detail, and sparkle, might still result in a nicely sounding upper midrange, even though it isn’t the most accurate in tone from an audiophile perspective. Fans of electronic or pop music might even prefer a brighter tuning here, as it emphasises synthetic melodies. So even though it might be less ‘correct’, it can of course still sound enjoyable based on preference. The treble is a very important area, because it has such profound effect on the presentation. The 7 – 10 KHz region is incremental for the general clarity of the presentation, the articulation of individual notes, perception of overall detail, as well as sparkle. At the same time, there’s a delicate balance with tonal accuracy, and overdoing it results in a tradeoff. It’s also an area where sensitivity comes even more into play, and divides groups of listeners. 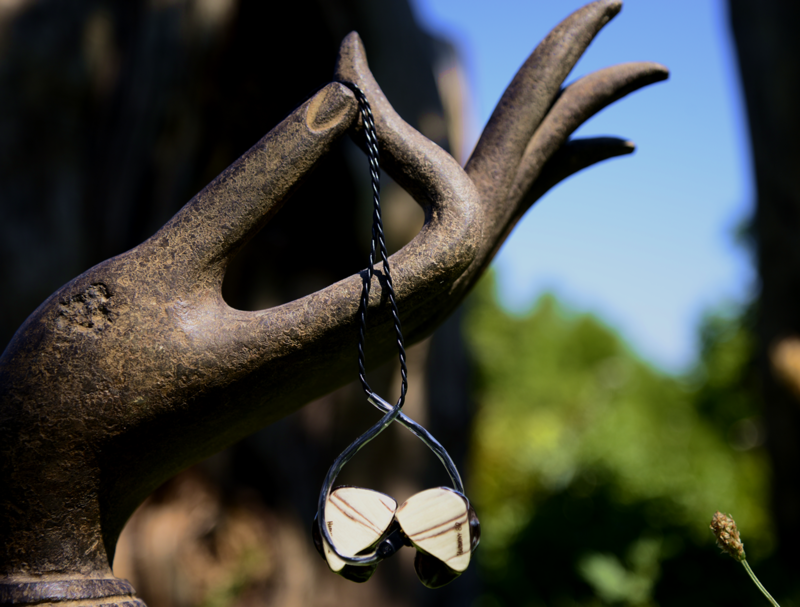 Sensitive listeners will have a strong preference for a non-fatiguing treble, while others might value the clarity and sparkle of a brighter presentation. In addition, one of the most important aspects of a treble is arguably its extension; a bit of a misunderstood concept on the forum. People often associate treble extension with a certain amount of sparkle, as if the treble ‘reaches’ to a certain point in tonality so to speak. But a treble tuning is really determined by the amount of prominence in the 7 – 10 KHz region, while 98% of the iems have a treble roll-off around 9-10 KHz. So both bright and warm iems will have a similar treble extension (or roll-off) around 10 KHz, but differ in their tuning and tonality based on the 7 – 10 KHz region. Treble extension refers to how far the treble goes before rolling off; as mentioned, this is usually around 9-10 KHz, but there are iems that manage to extend up to 15 KHz or even further before rolling off. This doesn’t directly affect the tonality, but technical aspects like stage airiness, resolution, transparency, and treble definition. However, the score of the treble itself focuses is on the actual treble notes, rather than its extension or general affect on the presentation. The two key aspects here are its tonal accuracy and smoothness. Similar to the upper midrange, a treble should be slightly warmer in tone to sound accurate. Generally speaking, this results from attenuating the lower treble region. However, the definition and speed of treble notes are also important factors in determining the score. High resolution is somewhat of a ‘holy grail’ for some listeners (including myself), as well as manufacturers. It is one of the most important properties to define the quality of the reproduction of individual tones, as well as the combined picture of the music. It is also one of the most misunderstood terms. More often than not, the term resolution is uses synonymous for detail retrieval, or in other words ‘clarity’. But there’s a very important distinction between resolution and clarity. Resolution refers primarily to the definition of individual instruments; high resolution is ‘high definition’ so to speak. With greater resolution, instruments will be more clearly defined, which accordingly will affect both separation and detail retrieval. But these are indirect side effects so to speak, rather than the main goal. Resolution results from a combination between the tonal balance and treble extension, with a prominent role for the latter. Clarity on the other hand simply results from brightening the signature by boosting the treble. The primary goal of clarity is usually to enhance detail retrieval; it’s more of a direct and easier route. So a monitor can offer a high amount of detail based on clarity, while still having low resolution. On the other hand, a monitor can have high resolution while still having a warmer or darker signature. As an example, try to envision the painting styles of Rembrandt and Picasso. Rembrandt was renowned for playing with light, and painted dark but highly detailed images. The details don’t shout at you, but upon closer inspection, you marvel at the portrayal of individual faces and objects. This can be considered an analogy for high resolution. Picasso on the other hand used simple lines and bright colors. The picture doesn’t change much whether you’re in the back of the room or up close. In this case you can say there is a lot of clarity, although it isn’t particularly highly resolved. The distinction is important, because boosting clarity is somewhat of a shortcut for detail retrieval. The music might sound detailed, it can come at the cost of tonal accuracy; the naturalness of the presentation. In addition, boosting the treble often results in cutting off lower harmonics (the lingering after effects of a note, such as when the chord of electric guitar is struck). So while it might appear more resolving, there is a loss of information. As we will see, a lot of the top performers when it comes to resolution have a midcentric signature, in order to maintain a natural tonality. The reason that manufacturers will often boost clarity rather than resolution, is because it is proven very difficult to improve treble extension. 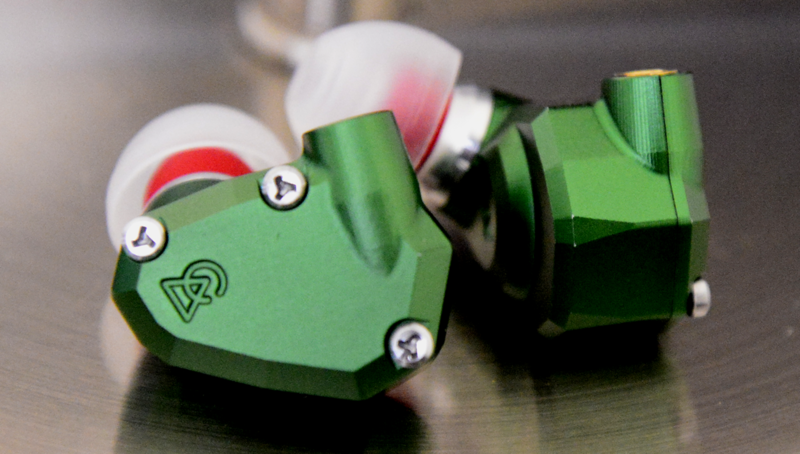 The common standard for iems is a sharp treble rolloff around 10 KHz, due to the inherent properties of the drivers. Clarity can be viewed as a subjective trait of a signature. Some people prefer a brighter presentation, while others might prefer a warmer or smoother presentation. Therefore, it isn’t a technical characteristic, while resolution is. Higher resolution is per definition always an improvement, as it is independent of a signature; both V-shaped as well as midcentric iems can have high or low resolution. In addition, while a preference for signature is subjective, tonal accuracy isn’t; it’s an objective quality that refers to how accurate different instruments are portrayed, compared to how actual instruments sound. It is of course intimately related to signature. The reason I always start with ‘presentation’ in my reviews, is to create a visual representation of how an item sounds, so the reader can picture how an iem reproduces the music. This starts with the stage dimensions, the outer lines that determine the visual field wherein the music is presented. The mid-bass presentation and warmth contribute to the stage airiness, that together with the stage dimensions plays a crucial role for separation. But the forwardness of the midrange, the thickness of the notes and their resolution, all equally contribute to create a visual image of how the music is presented, and how well it can be heard as a coherent and refined formation. A soundstage is the audiovisual space wherein the music is presented, consisting of width, depth and height. Soundstage width is the easiest discernible feature, and therefore it is naturally the most popular. While the role of depth is a little bit less obvious, it arguably plays a greater role in the instrument positioning and separation. In an average track, the vocal is presented in the center of a stage, flanked by guitars towards the front and the side, the most prominent elements of a band. The drums in turn are positioned behind the vocal. A wider stage allows these main instruments to be positioned further apart. But more often than not, a track consists of many minor elements that are positioned behind the key players. If a stage is too tight and lacks depth, these finer details are obscured by the main elements. The drummer might intermingle with the singer. More depth in the presentation generally results in better layering of these different rows, although the precision of layering is in itself irrespective of depth. So a soundstage should not only be wide, it should also provide enough depth. In addition, there’s an interplay between the average note thickness and the stage dimensions. If an iem has thicker notes, the stage will be relatively more crowded. So it’s possible for an iem with a smaller stage to offer better separation than an iems with a larger stage but thicker notes. The scoring of imaging simply refers to how accurately you can position individuals in space. The scoring of stage dimensions relies on the effectual dimensions, while separation relies on a multitude of factors including average note thickness, stage dimensions, resolution, airiness, and precision of imaging and layering. The sound impressions and scoring are based on my A&K RWAK380 copper. The AK380cu is a particularly natural sounding player, that combines a warm tonality with a grand stage and excellent technical performance. As a result of the Red Wine modification, its bass is significantly enhanced; this is a player with quite a powerful bass response in impact and overall quantity. The full bass not only provides a warm and smooth tone, it also creates a thicker note structure. While the AK’s stage is grand in both width and depth, the enhanced bass reduces the airiness of the stage – a more analytical player will have a cleaner stage. Nevertheless, its separation is excellent based on the stage dimensions alone, as well as its precise imaging and layering ability. It’s a beautiful stage, both in its dimensions and quality. The midrange is slightly forward, and full in size. There’s a nice little bump in the midrange that creates a nice vocal size and density. Most importantly, its tone is exceedingly natural. Not so much as a result of its enhanced bass, but the slightly attenuated and very linear treble. Attenuating the treble not only creates a smoother sound, the tone of the treble is warmer and very accurate. There’s a touch of sparkle in its upper midrange that allows an instrument as an acoustic guitar or violin to shine, but the focus remains on naturalness rather than brightness. It isn’t an upper midrange that shouts for attention, nor should it be – it’s an accurate midrange in timbre. Excellent bottom and top-end extension results in an overall high resolution as well as transparency, the final key ingredients for its allround performance. More often than not a flagship iem will sound great on most players, but there are occasions where an iem can perform better or worse based on the characteristics of a player, including the AK. 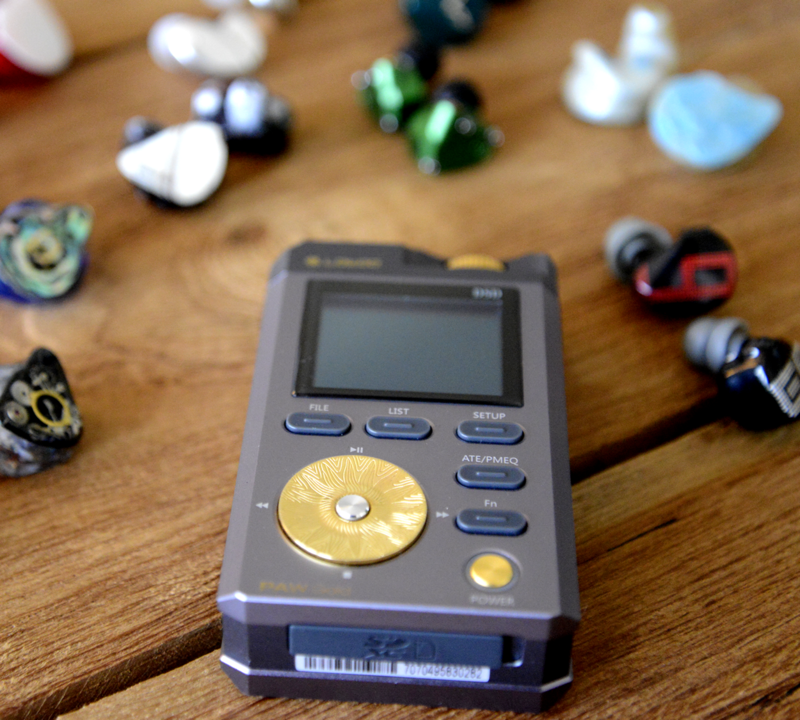 For instance, the Lotoo Paw Gold works well with iems that have leaner notes, or have a warmer signature. Which isn’t to say it doesn’t pair well with brighter iems as well, but the AK sound significantly better with iems that have a tendency to sound clinical, dry or harsh. Another example is that the LPG matches suboptimally with iems that have an intimate stage, while the AK opens them up. There are cases (including in this shootout) where iems sound significantly better with the LPG than the AK, and vice versa. Therefore, keep in mind that the descriptions and scores are related to the type of player I use, and impressions will vary based on other players. I’ve decided to give away three prizes to whoever can correctly predict the top 5 of the shootout, or come close enough. Everyone can only make one top 5 prediction, other than that there are no other requirements. I will ship the items worldwide at my own cost. The challenge starts when the last iem is announced, and bets can be placed up until the first review is posted. I was provided with a sample of the Fidue Sirius for this review. I won’t be able to listen to it for the next half a year at least, and after that chances are I’ll be reviewing other iems. The Sirius is a hybrid with a 1+4 configuration that retails at $899. SilverFi is a very unique cable manufacturer, that builds their own cables from the ground up. Due to their special sound, they remain one of my favorite cable manufacturers. Sezai has graciously provided a SilverFi IEM-X cable worth $496 for second place. I recently reviewed the Toxic Silver Widow; an excellent entry level silver cable, offering a high price to performance ratio. The Silver Widow 24 AWG ($320) is the third prize. I think this website and reviews are among the most exhaustive and satisfying on the net, sincerely. Thanks a lot for sharing your passion. I would have a question and couldn’t find the answer by reading the reviews. 70%+ of my listening is hip hop and popular songs and hits of the moment, so the quality of the recordings are most often average. I am not a bass addict, I love warm expressive vocals. In this list of contenders, what would be the most forgiving iems ? Big fan of your work! Really appreciate your efforts into all these detailed write-ups! With all these options, it’s really hard to pick the ‘right’ iems without physically trying them out. As of now, I am really enjoying the sound of my Andromeda but I have a problem with the fit — for most universals, I get itchy after wearing them for a while. I am looking for a pair of custom IEMs with ‘similar’ sound signature to the andro — powerful sub-bass and slightly attennuated mid-bass, slightly warm mids, and good treble presence. One area that I kinda like to change on the andro is the mids — I like the vocals to be more forward (I do like that, to my ears, the vocals on andro sound dense and powerful without upper-mid peak that could cause fatigue after long listening session, but I found that sometimes, depending on the tracks, they are placed a little behind instruments) — more vocal presence. From your experience, do you know of any CIEMs that fall under my description above? I do own the Zeus-XIV non-ADEL and while I like it a lot, I found my ears get really tired due to peaks in treble region. I apologize if my question is too long and would really appreciate your thoughts on this! Thanks Ed! No problem at all. So if we are looking at iems that perform well for vocals, several options come to mind. One of the first would indeed be the Zeus. Sorry to hear you find it fatuiging, what source are you currently using? If you are happy with its general characterstics, you could also consider trying a warmer/smoother source. Some other options are the 5-Way, Prelude, Phantom, and UE18+ (2nd gen). However, the first three are on the warmer side and are very different type of iems as Andro. You will not get a similar treble sparkle and clarity, as they are tuned for timbre and naturalness. In that case the UE18+ might be a good option, as it creates very special vocals, has a warm midrange, but still has a neutral treble tone that offers clarity to the sound. However, pay attention that it is 2nd gen, since the 3rd gen is a different iem altogether and seems to have lost its naturalness and vocal finesse (not heard it myself though). Thank you for your input Nic! I have previously narrowed my options down to the Phantom and 5-Way — I kinda ruled out the prelude due to not-so-good extension on both ends especially the sub-bass. I remember reading your 5-way and phantom comparison here on THL but somehow I can’t find it any more haha. Anyways, I will try to find a demo for the phantom (I know it is almost next to impossible to try out the 5-way) and see if it fits the bill. Oh and I play everything from iphoneX since I’m always on the go; although I have been thinking about DAPs as well. 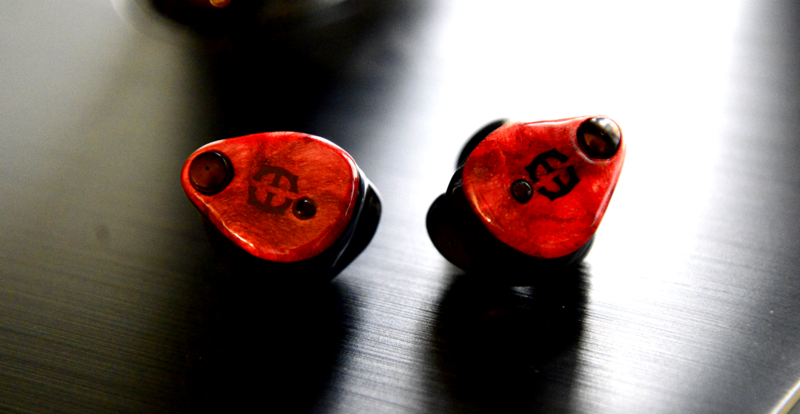 Hello Nick, what about the comparison between SE 5 ultimate and Inear Prophile 8S? Look for the natural and organic one, also I think they have big gap in term of price? What your opinion and what your recommendations? And, is there any reason PP8 didn’t in the TOTL in your list? InEar wasn’t interested in contributing one for the shootout, and my budget was long spent by then on other iems 😉 I haven’t heard the PP8 myself, so I can only make an assumption based on what I have been told by others. The PP8 seems to have a neutral tone with slight leaner note size, while it treble rolls off after 10 KHz. So while it has a clear sound, the transparency and staging might be subpar to a TOTL at a higher price. Again, just my interpretation. The 5-Way will have a warmer tone with a more organic/natural timbre, although some people might consider it dull or colored. Despite the warmer sig, it has excellent extension and a nice 3D stage with high resolution. Hi thank you for the excellent review. I am planning to upgrade to Dx 200 from dx90 with earsonics velvet. I am happy with the musicality of velvet but am looking for a better transparency sound stage and resolution. I am mainly listening to rock blues, jazz &classical. Which CIEM should I consider? Your reviews for 64audio A12T A18 empire Zeuss xr and unique melody Mason all look good. Hi Yakup, are you looking to retain a similar sig as the Velvet, or are you looking for something different that would suit those genres better? The Velvet has a musical signature due its powerful subbass and energetic treble, but it is overall on the brighter side with laidback vocals. Personally, I would listen to a warmer, more natural sounding iem for those genres. For retaining a similar general signature something like the NT6pro or A18 would be a more or less direct upgrade, that both have a neutral/bright sig with a nice touch of sparkle. Zeus would indeed fit the bill for genres like rock blues, considering its forward and weightier midrange, while its neutral tone should also work well for classical. Maestro V2 would also suit those genres, although it isn’t as transparent as Zeus or A18. The Phantom and N8t are both on the warmer, more natural side of the spectrum (I only heard N8t briefly though) and go for a natural sound. By comparison, Zeus will be more upfront in its detail approach due to a more neutral tonality, so I think that might be the better way to go for you. You can probably find some second hand on Head-Fi for a good price. would you do one with models just below the flagships? ie: ca andromeda, lime ears model x, 64 audio a12t, spiral ear 5-way ref., hidition nt-6, uerr, etc. im not sure what you should do for empire ears now though…. It would certainly have its appeal, but I personally don’t have the energy or money for that matter to invest in another one 😉 It’s up to the next generation of THL writers to come up with something in the future, but seeing the quality of their work I have no doubt they will eventually write something that supersedes this one. As Spiral Ear 5-Way Ultimate uses soft silicone material. It is quite unique and very few IEM uses it. By your experience, can you tell us about how good or bad that it is in term of sound quality? Is it hard to handle and is it easy to break the internal components? Silicone is easy to handle, it’s a softer material so it will be more resistant to falling and breaking for instance. In terms of SQ, silicone is said to produce a softer, warmer, more ‘organic’ sound. I don’t have experience with hearing a model with both silicone or acrylic myself, but I have heard experiences from friends reflecting this. Thanks so much for doing this review list. As an aspiring audiophile, I realize it’s time for my first flagship. I can’t even begin to say how impressed I am with Campfire Audio so obviously the Vegas are on the short list. Empire Ears on the other hand, I’ve yet to experience but have heard much good things. I am curious though—absent sound preferences, are the Zeus’ price tag justifiable when going up against the Vegas? Any advice would be greatly appreciated. Again thank you so much for the time and effort you’ve put into conducting these rankings and reviews. 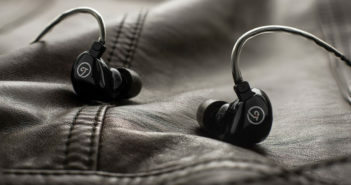 I am interested to see how Westone ES80 compare to the top 17 iem on your headphone list. The ES80 has some outstanding feats; for instance its resolution is higher than the others, with the exception of A18. Similarly, its bass and treble are of very high quality, in the top range. Its midrange and timbre are around average. Still, it would have ended quite high, as it has some extraordinary strengths. I’ve a question for all the fortunate owners of the SE5-Way Ultimate. Since it is very difficult to assess if the sound signature is appropriate for my musical tastes before actually ordering a pair, could you please provide a list of headphones/loudspeakers which approximate the sound of these earphones? I know that it’s unfair to compare earphones with either headphones or loudspeakers but at least all potential customers like myself can better understand the general character of the SE5 without investing in them upfront. Compared to the top performers, it would mainly lose out in terms of depth and effortless of separation, as well as resolution. Andromeda has a fun sound, with nice bass, slightly forward mids, and treble sparkle. It’s not completely natural, but is very all-round and easy to recommend, especially at its price point. purchase any of these $$$ flagships, reading the criteria in the reviews has been most informative. and as per this list, more mid fi, will the graph ever be upgraded? or will there ever be a shootout for semi flagships around the $1k range, give or take. Thanks, glad to hear it was informative. 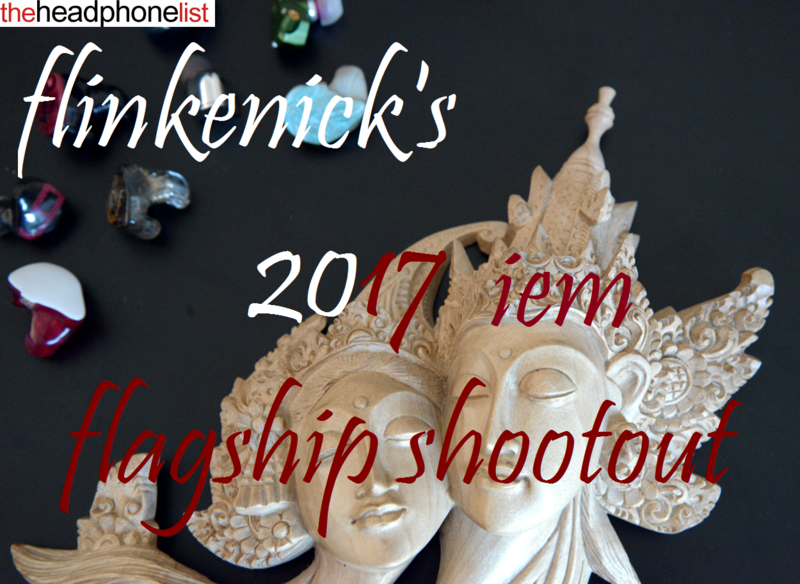 Actually, jelt2359 has compiled a list of iems for his second shootout that I think are a bit more affordable, but you would need to check with him. Exciting things are coming! Where would earsonics S em-10 stand in this list? It must have been a part of this shootout! Yes would have been nice to inlclude it, it’s a very special iem. It would probably end somewhere in the upper half. Could you add a column to lis the price off each item, please? agree…that would be nice to have the prices listed too……crazy the price of some of these iems. i ‘d love to try a well balanced, detailed custom, but without blowing my budget to enjoy one. Thanks for your insights, not far off! Unfortunately the deadline for submission has passed a while back. Very interesting and detailed thread and an awesome giveaway! Cheers – love this site! Are you writing a review for the UE18+? Hi Peter, I am. l’ve already written it actually. It’s a great iem. Thanks a lot for doing this! For the TBA my suggestion would be something from unique melody. Thanks for the suggestion! But hold on with the predictions for a moment, as the last contenders are not disclosed (or determined actually). There might be something in there for the top 5! Hi Carlrg, thanks a lot for your support it is very much appreciated! hahahaha flinkenick i ‘m on to you trying to make a social experiment out of us 😀 but i think you’d need more people to compete 10 isn’t even enough for a proper statistical study. Hope the Yamaha is treating you well! I’ll avoid saying “Can you add blah blah blah” because you’ve made really good choices. Haha thanks. Yes there are always more missing than included, but I think it should be entertaining!